I offer a unique perspective on Individual and Family Portraiture. In addition to traditional poses and portraiture, I seek to capture the unique character of your family at this moment in time, surrounded by objects that make up your, or your family members' identities. If a client were a musician then I would set up a scene with the client surrounded by instruments and musical items. You can imagine all the number of possibilities Biographical Portraiture is able to create. I asked one client during consultation what she loved doing with her son, if they both shared a favorite activity? She said that her and her boy often made her Italian grandmother's homemade spaghetti sauce recipe. 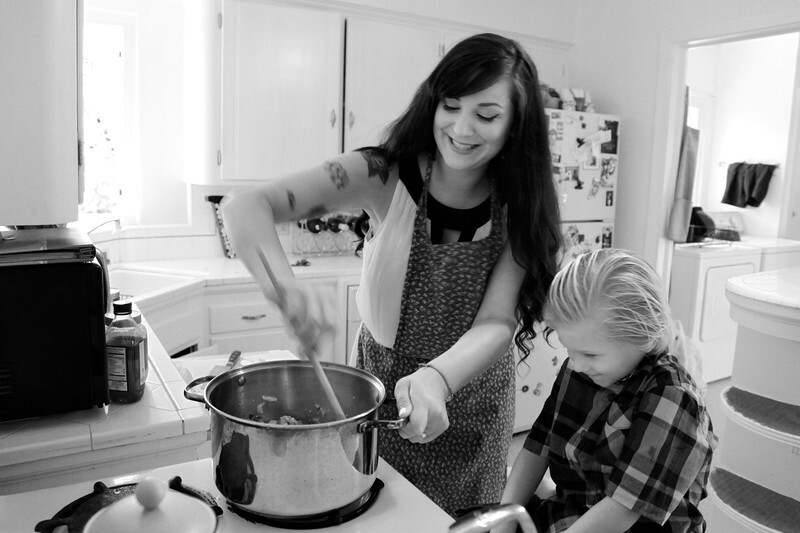 Her grandma passed away a few years earlier, so making the sauce with her son was always a special time. I thought capturing the two in their spaghetti making ritual would make for cherished photographs. The photographs are now one of her most precious possessions. Let me photograph you and your family doing something together that you all love, like Sunday dinner, cooking together, or playing together. What activity brings your family together? Is there a room in your home where you all come together to enjoy one another’s company, to laugh and talk? Is Saturday backyard bbq part of your family life? Most people wouldn’t think about hiring a professional photographer to capture Saturday bbq, but those images of love, laughter and coming together over dad’s grilled meat or mom’s potato salad will be golden in years to come. How many of us wish we had a full set of photos of our childhood with dad at the grill and the kids playing in the yard? I know I do. Of course, I also photograph traditional portraits in any setting that you may choose.